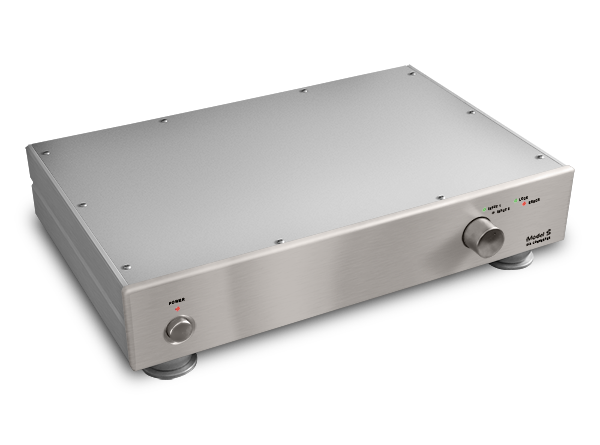 This idiosyncratic non-oversampling DAC, brainchild of Pedja Rogic, is not doing forum rounds like other DACs. It isn't finding itself into any mainstream publication, hell, it's not even getting reviewed. You're not going to find different "levels" or hierarchy, you have a choice of two DACS: the Audial Model S (SPDIF) and the Model S USB - because the designer believes both need different digital layouts and even mains transformers. You can have options ranging from 2x direct coupled RCA, transformer coupled XLR, capacitively coupled RCA etc. 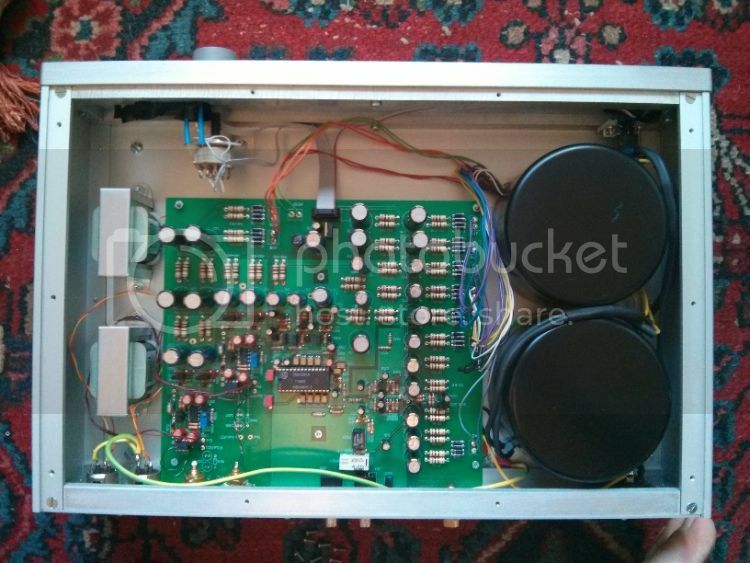 My unit uses Jensen JT-11-BMCF output transformers with XLR & RCA outputs, which cost me 2,150EUR a couple of years ago. If sold by a mainstream manufacturer the Audial Model S would cost in excess of £5,000. Where does that couple of grand of the actual price go then? So what about the sound? The first time I plugged it in my first impressions were that a component had disappeared rather than hearing something new. The Audial Model S just got out of the way so much that it could have been perceived as disappointing if one was expecting whizz bang changes. DAC signature and its sheen and fatigue just disappeared. I found myself listening to music all day non stop, still it plays in the house for hours a day, and not really thinking about what this DAC was trying to do. It was immediately apparent that my trusty Exposure 2010S had finally been "exposed", and after years of service I moved onto a significantly more expensive LFD pre and power combo, but interestingly I ended up with significantly less expensive than the mainstream Royd speakers. The best way to describe the Audial Model S is that it pulls down the boundaries between analogue and digital to the point where you feel that you're just listening to a source. I also have a Pioneer PL-71 turntable with a Reson Reca and Vista Audio phono stage, and the similarities are more than the difference I suppose. The Audial is more dynamic, clean and refined with better bass, but in the process doesn't sound unnatural up against the turntable. 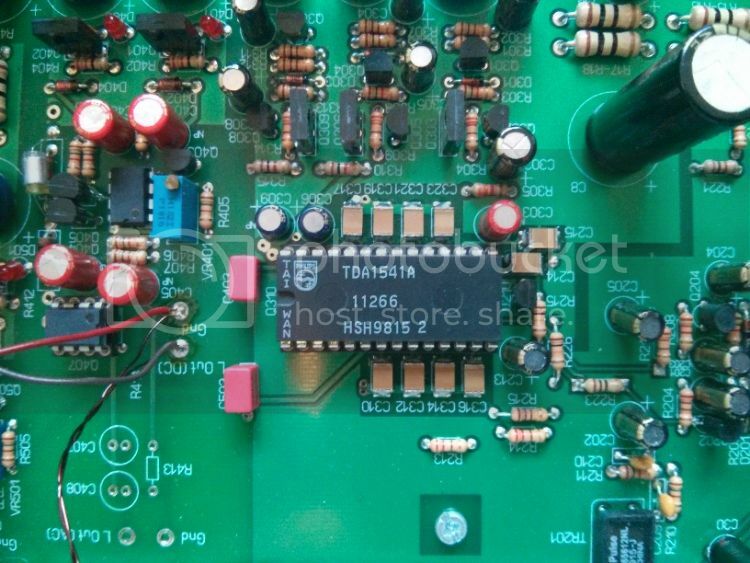 "Of course, the active parts used must be able to follow high signal slopes. The Model S uses a high bandwidth active parts, and current to voltage converter is a common base circuit, which in itself brings a highest possible bandwidth. The output buffer, with bandwidth well above 100 MHz and slew rate higher than 1000V/us also doesn’t appear a bottle neck." DACs / players I've listened to range from Naim 555 to Beresford Bushmaster MK1 / MK2, Audiosector NOS DAC, Theta DS Pro Progeny, various Rotel, Pioneer, Marantz players etc. None have given me that feeling of forgetting about the equipment & letting the music flow, plenty of turntables have, but not digital gear. I have experimented with using oversampling filters in software to correct the treble rolloff that non-oversampling DACs create, but even when using 88.2kHz files, yes there was a tad more at the extreme top end, but at the expense of sounding less musical, more processed. The entire point of the Audial Model S is to make the process as "analogue" as possible, with no post-processing, just taking the file as it is and creating an analogue waveform. In short if you are looking for a final DAC, one that is built to enjoy music from, long term, then I can highly recommend the Audial Model S. It really should be a lot more expensive, and popular, but engineers may not care about such things especially when TDA1541A supplies are dwindling. Thanks John it's be good to take it out on a bake-off sometime soon, am based in the North West anyone on here's welcome to come over for a listen. If you do let us know the results. Great stuff, I knew very little about it. Thanks for the review! Think that's it for now! Indeed. It doesn't matter if it's a good FM broadcast, CD, record or rip. The ultimate aim! Us HiFi nerds can forget that sometimes. www.audialonline.com/model-s/ << the MK3 version is now out, which allows compatibility for direct I2S or Simultaneous connections. This allows for a true separation of clock & signal & means that the digital receiver (SPDIF to I2S conversion) can be avoided. How much difference this actually makes is up for debate, but it's interesting to see such flexibility on a DAC. This review thread also got featured at the bottom of the Audial Model S official page, nice to see some reviews popping up recently.